When the anxiety of materialistic excess overcomes your soul, and you hear a cry from deep within, what do you do? Author Mark Kacik traveled the remote back roads of Asia in search of a peaceful mind, a deep understanding of self, and an alternative to his hectic and materialistic American lifestyle. 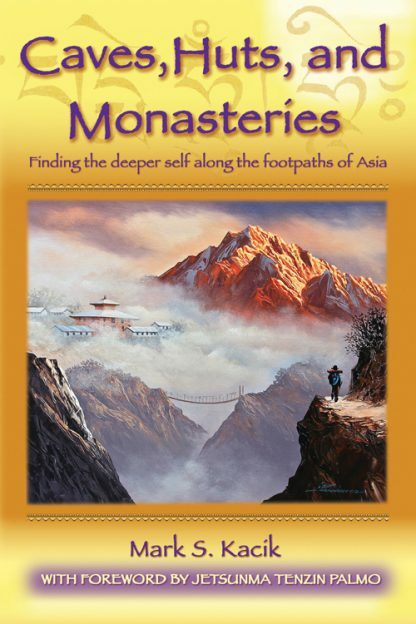 Probing remote footpaths and following the breeze of his soul, Kacik serendipitously encounters Buddhist masters in out-of-the-way temples and monasteries, where he is given deep meditative exercises and lessons in awareness, consciousness, and mindful living. Follow Kacik�s spiritual odyssey as he travels through the timeless deserts of India, the frigid Himalayas of Nepal, scorching Vietnamese jungles, and the culturally rich Korean mountains and has surprising and sometimes terrifying adventures. Meet the incredible people he comes face-to-face with who lead lives so amazingly different from his own. Caves, Huts, and Monasteries is more than a travelogue: The vibrant descriptions of faraway jungles, mountains, and deserts, along with jewels of advice gifted from masters of various Buddhist traditions, speak to the heart of spiritual seekers of any faith tradition. Kacik shares the teachings that affected him most deeply; those that helped evolve his perception of self, and taught him that peace can settle in the wailing soul that remains open and still. Because all of us get stuck; all of us sometimes want to scream; all of us have heard our deeper self crying for more substance in our lives. Mark S. Kacik is a spiritual seeker who has traveled the world studying local religious practices and customs. Although his practice is rooted in Japanese Zen, it is significantly influenced by Tibetan, Vipassana, Vietnamese, and Korean traditions as well. An avid backpacker and backcountry adventurer, he has learned to thrive by living simply and seeing in nature an unfathomably complex expression of the Divine.